I made it to the third round of the PR Sewing Bee! My second round entry is here. The competition is hotting up now and this challenge was a lot harder than the first two. We were to make a Colette Rue dress, but put our own 'spin' on it. This may not sound too bad, but my feeling is that the 'spin' needs to be pretty amazing to make the cut in this round, not to mention the perfect sewing required. 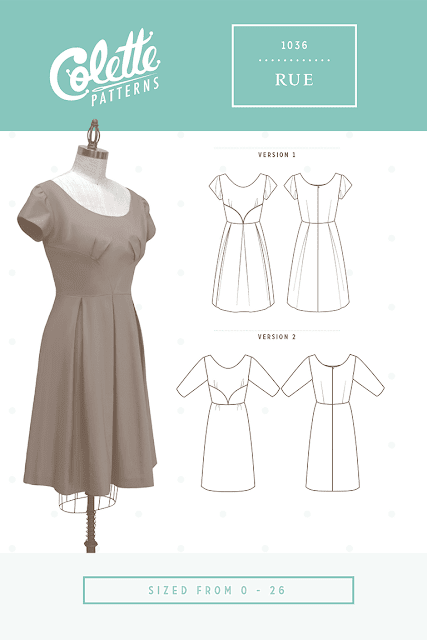 The Rue Dress is a vintage-inspired design with a fitted bodice and two skirt options. While I love this 40s style on some people, it is not my thing at all. To make this wearable and fitting with my style it needed to be modernised and made into a more flattering shape for my body type. I didn't want to change the pattern too much though. It still needed to retain the essence of the Rue. I thought long and hard about what to do and eventually came up with this design. 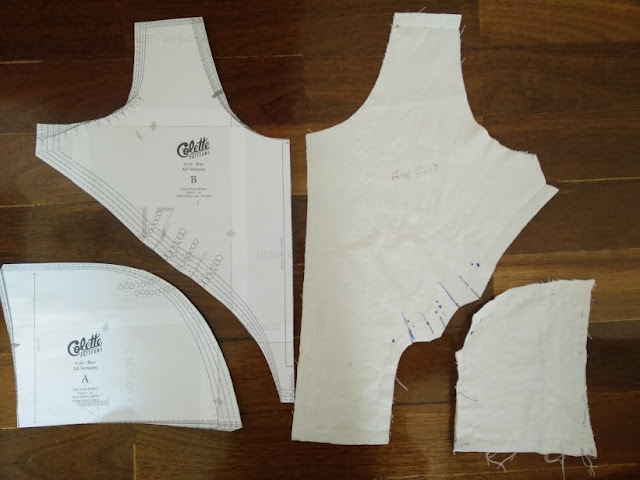 Here are the alterations I made to the two front bodice pieces. This alone took many muslins! I chose this floral stretch denim fabric bought ages ago from Potter Textiles. The dress is lined with a cream floral cotton voile and the piping is made from polka dot fabric from the shorts I made in Round 1 of the Sewing Bee. 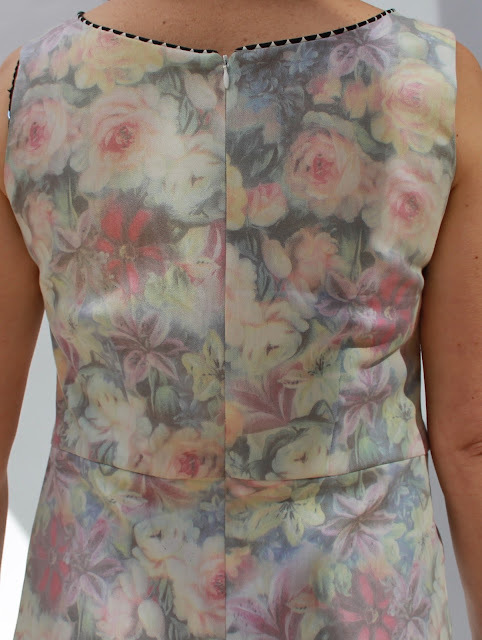 I was as precise and careful as possible with matching the piping at all the seam lines and the neckline. As for the invisible zip, let me just take a bow. I think it's the best I've ever done! This process was difficult and stressful and took many hours. I often had a houseful of hungry teenage boys and my time limit was reduced by three days as I'm attending a felting course this week. A couple of muslins in, I did contemplate not completing this challenge. I emailed my sister who said that if she'd been doing it, the dress would have been a ball on the floor by now. That suddenly made me realise how long it's been since I hurled a sewing project at the wall (a fairly common occurrence in the early days). My gosh, maybe I have actually come quite a long way, if only in controlling my sewing hissyfits. I was spurred on to finish. Thanks sis! 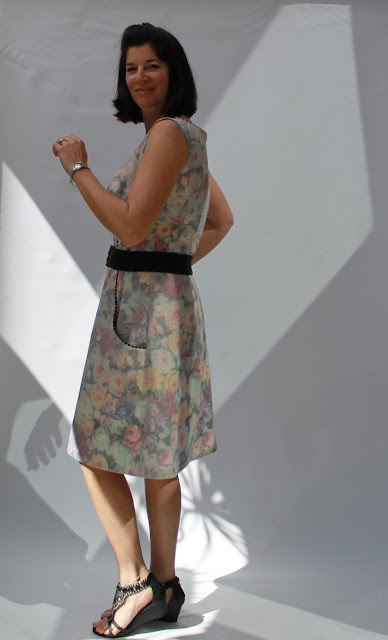 I am really happy with the finished dress. It is a bit of a departure from my usual style, but still feels like me. My favourite thing is the pockets and how they blend into the new style lines. I am also very proud of the sewing I did here. Fingers crossed I make it to the final round of the competition. Good luck! Can't go wrong adding pockets to a dress. And loving the fabrics. Will have to keep a closer eye on that Potter Textiles. Thank you Bronwyn. 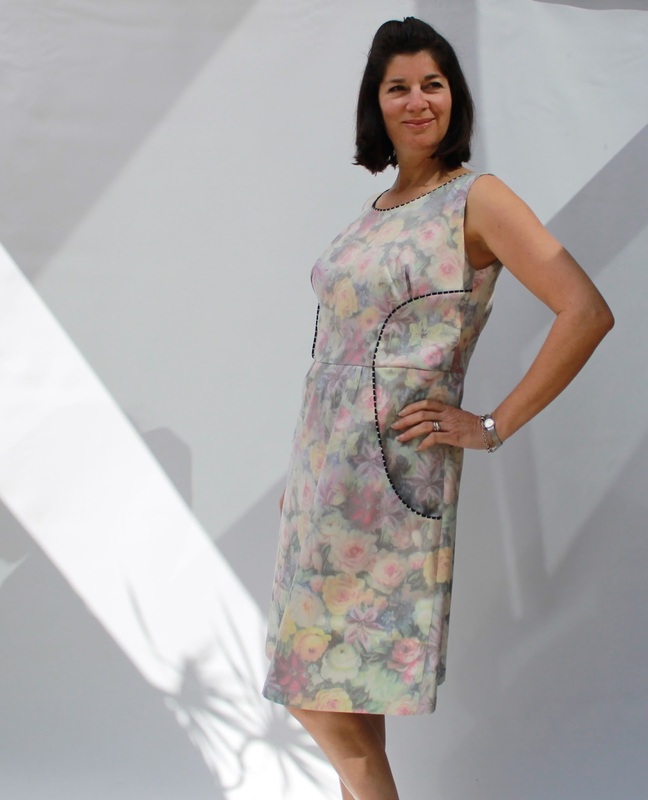 Agreed on the pockets and the closer eye! Good luck in the bee! I love the big pockets! My second attempt at a comment! I love everything about this dress. 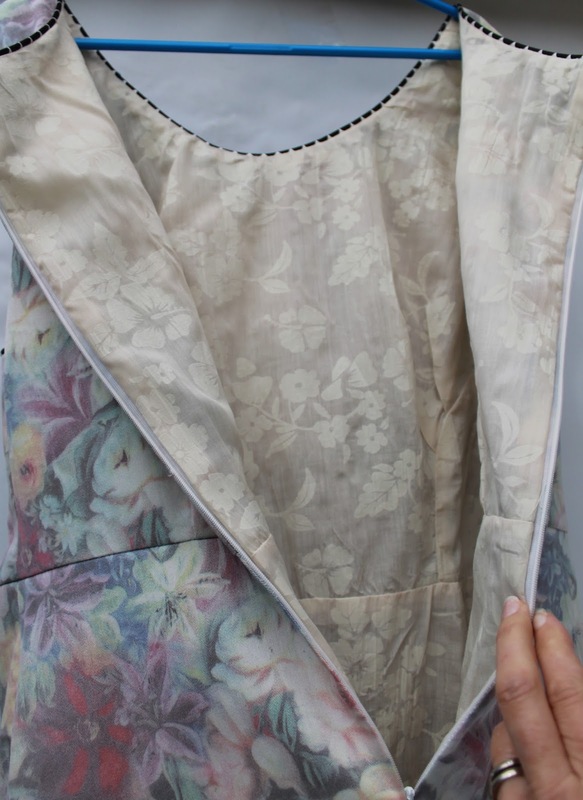 Those pockets are genius, as are your new style lines, and the seam embellishment is gorgeous. I particularly like it with the belt. I hope you win! Thank you Sue. I like the belt too, but wanted to show off the seam matching! This is an excellent interpretation of Rue. Love the pockets and the polka dot piping. Good luck! 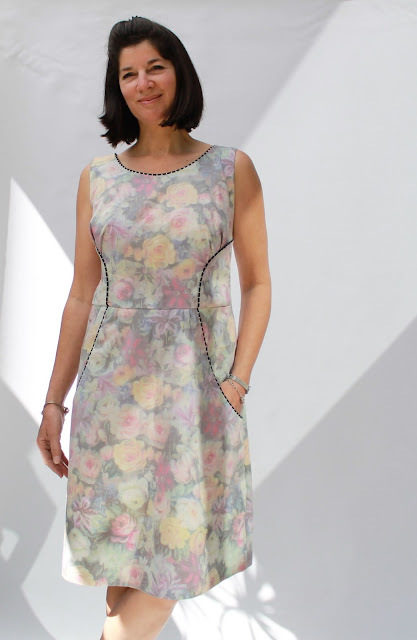 I am not into flowers and other prints but I love the dress. Thank you very much for sharing. By the way, if you need an essay writer to write your essay or any other type of work, feel free to use the services of the website.